Opening next week, the Chronicle is Supercity’s first aparthotel in the City of London. Yes that’s right—Supercity may already have three hotels in London (Templeton Place, Nevern Place, and the Rosebery), but this is the first in the City of London. What’s the difference? Well there’s quite a bit more to the distinction than you might expect. 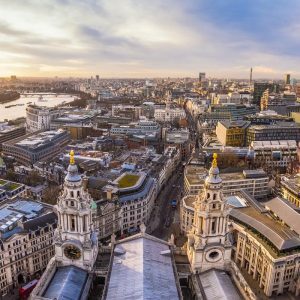 Arguably the financial capital of the world, you could say that the City of London is both the newest and oldest part of London—where dizzying new high rises rub shoulders with Victorian banks and even a few Elizabethan inns that survived its many fires. It’s bustling, energetic, crowded, and also—at the same time—empty: with 9000 residents in the city, when over 300 000 commute there. It makes 50 billion pounds per year (or 12% of London’s overall income). How exactly did it get this way? The City of London is old—Roman-era old. While the Westminster-centred portion of London wouldn’t start until around the 10th Century, the Romans founded the settlement of Londinium in CE 43. With a population that ended up growing to around 100 000, the walls it set around the city are still what marks the City of London today. 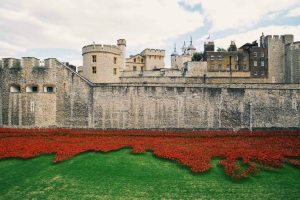 Those walls were incredibly important for London residents long after the fall of the Romans—in 1066, while William the Conqueror managed to capture the rest of England, London’s formidable walls proved too difficult to scale. So in order to secure his rule he forged a truce with London: pledge allegiance to me, and I’ll recognise your autonomy. He built the Tower of London right beside the city walls to watch over the people, making sure they never rose against him. 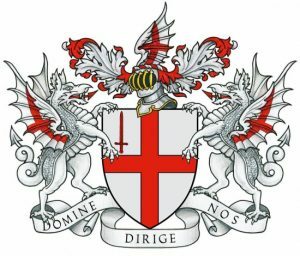 Since William, every new monarch has had to formally recognise the City of London’s special status—think a state-within-a-state that no other county in Britain is allowed to be. 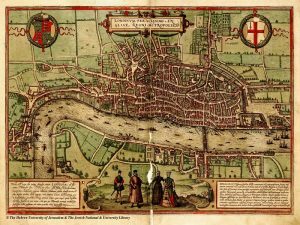 Throughout the middle ages and early modern era, the City continued to be both the financial and social centre of London. But during the 19th Century, as England industrialised and became very wealthy, City residents were pushed past the limits into greater London as banks and other financial institutions took precedence. Since then, as the financial power of the City increased, less and less people have lived in the City—creating the commute-heavy financial capital seen today. So what does its special status mean? 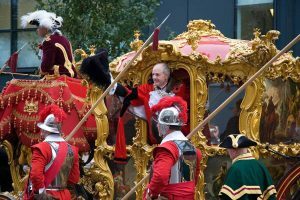 There is still a formality where the monarch must ask official permission from the Lord Mayor of London to be able to enter into the city. Considering its citizens freemen, people in the City weren’t ruled by lords from different fiefs during the Middle Ages, meaning they had far more economic and social freedom than regular citizens in the rest of the kingdom–this allowed London’s merchant and banking class to flourish when most others toiled in the fields. Their election process is even more unique and convoluted – all hopeful mayors must first become citizens of the City, join one of the few exclusive Livery companies (or guilds), and then Alderman and Sheriff before running for election. Even stranger, the City’s 9000 residents only get a quarter of the vote—the other three go to the City’s banks and other financial centres! Among the long list of odd laws and opaque systems of law and commerce, not to mention it being the historic place of the first Masonic Lodge, and you have a plot of land that’s been the target of some bizarre conspiracy theories over the years. Think the usual suspects of Illuminati, Knights of the Templar, and Vatican City meddling, to the point where one wonders if the next Dan Brown novel won’t be set here! As strange as some of its practices are and as wild as those conspiracy theories might get, the City of London’s unique heritage is really what gives the city its special character–complaints from the rest of the country that London sees itself as special might well have started over a thousand years ago. That freedom is what allowed London to expand, build, and experiment, and maybe it’s that freedom which still makes London so special today. Welcome to the City of London: it’s a fascinating place with so many secrets to discover.